Have you heard about Kimy Playstix? I received my first 2 boxes last weekend for Mother's day and a little plastic house. Turns out the house was built using the playstix! Unlike normal ice pops, the new Kimy Playstix replace the traditional wooden popsicle sticks with fun Playstix that you can use to create endless possibilities! 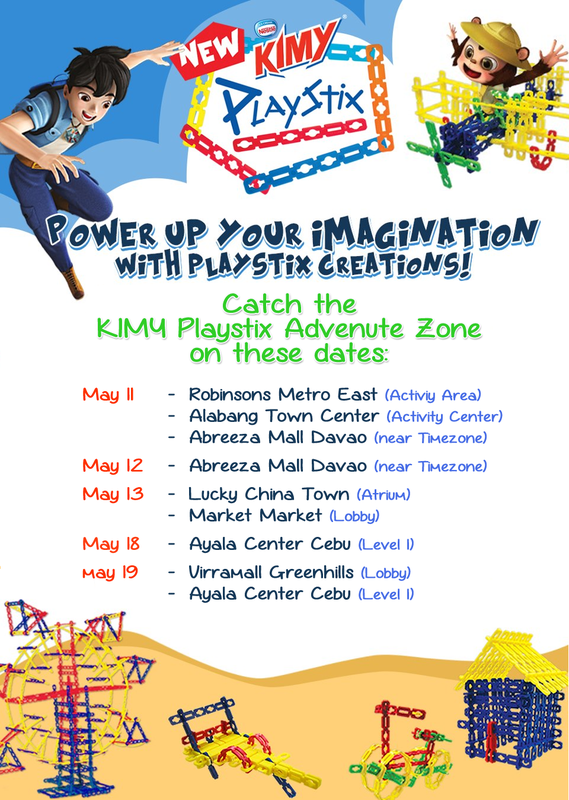 Each Kimy Bar comes with one Playstix or you can get a Kimy Playstix Pack like the one in the photo which comes with 15 Playstix! The Playstix are bendable and twistable. You can lock them in or slot them together to create whatever you want. Only your imagination is your limitation. They really are a lot of fun to play with. Been trying to build bridges since I got our packs. What's better is that they taste REALLY good. I'm not a big ice cream fan, I only take it once in awhile. I didn't even get in on the whole (insert name here) chocolate ice cream bar craze before but I am addicted to the Kimy Swirl!!! Nikola is too. After just two days, we have zero left. The one in this photo is the last one but she made me promise to pick up some more at the grocery tomorrow. I'm all for it since I recently found out that Nestle Kimy ice cream products only use the recommended amount of sugar and are 100% free of artificial coloring. Which is also probably why I like the taste so much. It's not overtly sweet and not at all nakaka-umay. In line with this new product, Nestle Kimy Playstix would like to invite you to visit the Kimy Playstix Adventure Zone where you can power up your imagination to create different adventures with your very own Playstix! really nice and cute pictures! this looks so fun!! :) i bet athan would love it!